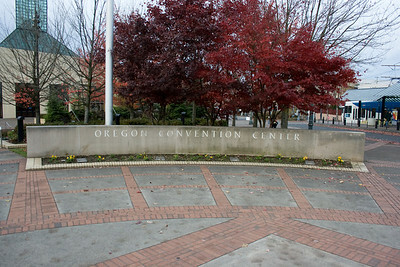 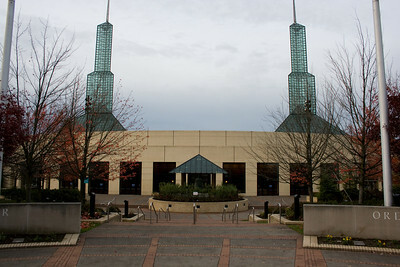 Outside the Oregon Convention Center in Portland, OR. 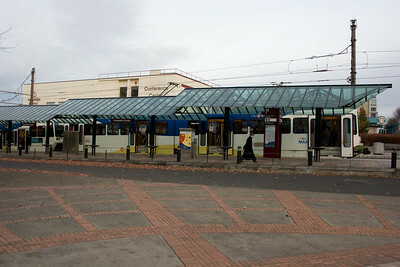 The TriMet MAX Light Rail stop was right between the convention center and the hotel. 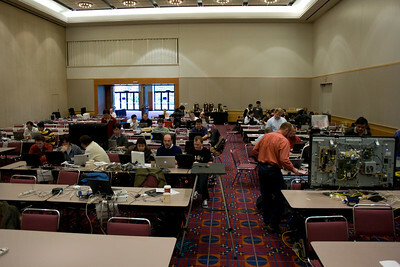 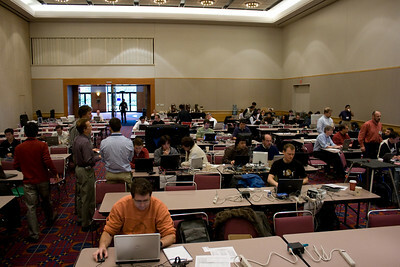 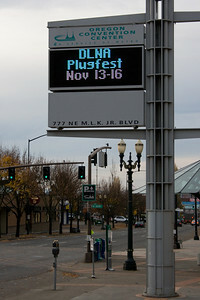 Convention Center DLNA Plugfest sign. 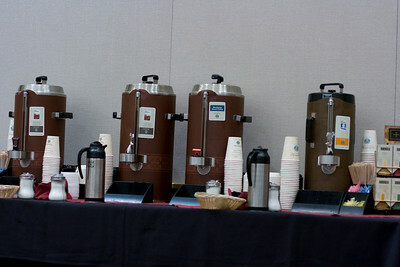 Starbucks was the official coffee supplier. 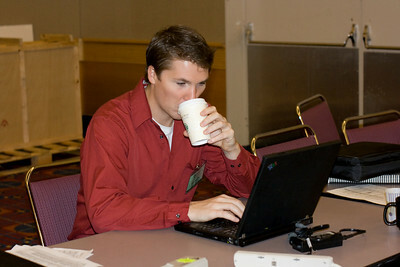 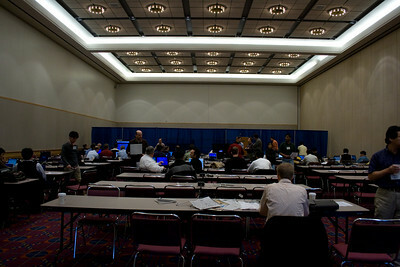 There were also two Starbucks inside the convention center itself (and three directly outside).